Bed pans are used for the relief of individuals confined to a bed, regardless of whether the confinement is long term or temporary. Bed pans come with some selection in style and material, reusable or disposable, which allow you to choose the type best for your situation. Allegro Medical offers fracture bed pans, as well as female and male urinal bathroom assists for patients who have trouble getting out of bed, but do not require a traditional bed pan. 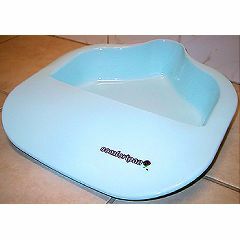 Whatever the particular need of your loved one, or your patient, you can find the right bed pan from Allegro Medical.